Actress Parineeti Chopra will not be performing at Indian Premier League's opening ceremony, which is scheduled to be held on Saturday. 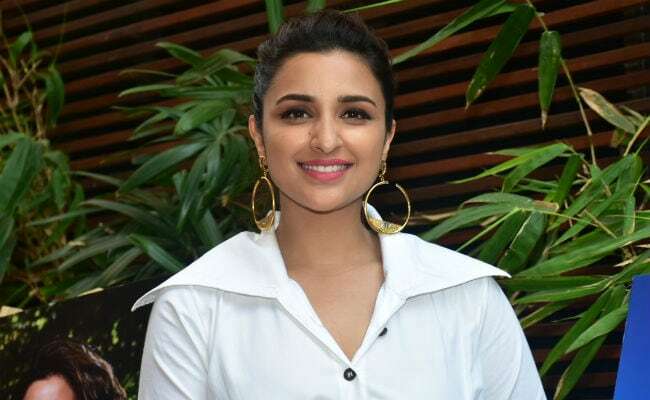 Parineeti, who was busy shooting for her forthcoming film Namaste England with Arjun Kapoor in Patiala, didn't get 'enough time to rehearse' and felt it was 'not okay' to put up a compromised performance. The actress's spokesperson released a statement on her behalf, which read, "Parineeti Chopra was to perform at this year's IPL opening ceremony. She was shooting non-stop for Namaste England in Patiala and had back-to-back, pre-committed endorsement commitments. So, unfortunately, she did not have enough time to rehearse in spite of her best efforts. Being a thorough professional, Parineeti spoke to Wizcraft and explained to them that she was not ok putting up a compromised performance. Wizcraft has been gracious enough to understand this and agrees with Parineeti. She would not be performing at the gala opening." Wizcraft International Entertainment is the official organizer of the opening and closing ceremonies of the IPL 2018. Earlier this week, "Padmaavat" star Ranveer Singh had to pull out from the IPL opening ceremony due to his shoulder injury. The actor was advised against performing at the gala to avoid aggravating the injury. Ranveer released a statement through his spokesperson, which read, "After multiple medical check-ups, the doctors have strongly advised Ranveer Singh not to perform at this year's IPL opening ceremony in which he was doing the grand finale act. They feel his high-energy performance would only overstrain his shoulder and aggravate the injury." Meanwhile, Ranveer wrote on Twitter, "Thank you for the good wishes everyone. I'm good. It's just a labral tear in my left shoulder. I intend to come back stronger. Love you all." Ranveer was set to perform the finale act, which reportedly is being prepared by actor Hrithik Roshan now. "Yes, I can officially confirm that I will be performing for the opening ceremony of IPL. I have already started rehearsing for it. It will be fun to perform in front of a live audience once again," Hrithik said in a statement, reports Hindustan Times. Earlier this week, a picture of the Dhoom 2 actor rehearsing with choreographer Shiamak Davar and two other dancers was posted on Twitter, by the PR Head of Shiamak Group. He wrote, "Time to create Dhoom! Shiamak Davar with the one and only Hrithik Roshan #IPL2018." Apart from Hrithik Roshan, actor Varun Dhawan will also be performing at 2018's IPL opening ceremony.